As full service facility, Forged Performance is your one stop shop for parts, service, dyno tuning, race car and track day preparation. Our 12,000 sq/ft facility in the heart of Marietta, GA features seven lifts, an AWD Dyno Dynamics Dyno, parts sales, and custom machining and fabrication all performed onsite. Motorsports and track day/HPDE's have never been more accessible, but attending an open lapping session or a structured HPDE can be a little bit daunting. 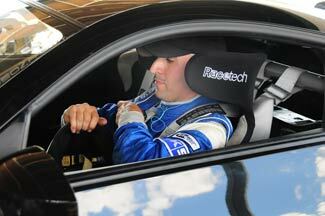 If you are ready to experience the benefits of dedicated one-on-one instruction, a private instruction session just might be the ticket to faster lap times. Much of our success has come from track testing and racing many of the products we sell, and pressure checking our tuning and building strategies in the most competitive environments. If you are looking for a dual purpose track car, or a dedicated Time Attack car, Forged Performance can manage it's creation from start to finish. Forged Performance offers full manufacturer approved maintenance services and general repairs. From oil and filter changes to a complete 60K service, our technicians perform all dealer recommended maintenance routines in our clean, state of the art facility. Forged Performance's facility is equipped with a 1200whp capable Dyno Dynamics AWD load based dyno; one of the few in this part of the country. Fully trained and certified in a dozen engine management systems, chances are we can tune it! 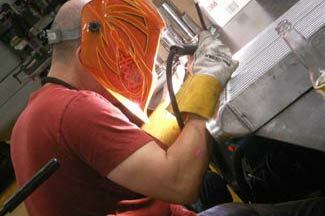 Forged Performance's in-house fabricators can handle your most demanding and intricate custom projects. Whether it's fabricating a simple mounting bracket, custom intercooler piping, exhaust, or suspension components, we have the experience and skills necessary to quickly complete the job.